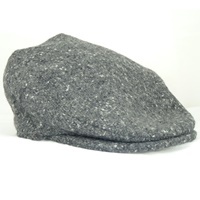 Brown Tweed Vintage Snap Cap is totally in fashion, Watch any movie or TV show and your sure to see it. Made by Hanna Hats in Donegal, Ireland, of 100% Pure New Wool. 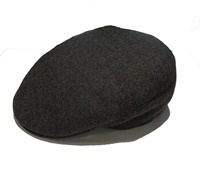 A stunning handcrafted cap that is as comfortable with a suit and topcoat as it is with jeans and a farm jacket. This hat brown but does feature muted multi colored threads throughout. Can we worn stylishly by any age and any gender.